Most estate agents say they’re different, but are they, really? Here are six bullet points taken from an agent’s website; perhaps you recognise them? Most of these are claims that could be made by any estate agent I know. They are attributes that not only every agent could boast, but that the majority of homesellers would expect as standard. You take on a client’s property, list it online with photographs and text, and negotiate any offers that come in. The difference is in your WHY. The WHAT and the HOW is the everyday work of any estate agent, but your WHY is what makes you truly different. All companies know what they do. Some know how they do it. Very few can articulate why they do what they do. Everything we do, we believe in challenging the status quo. We believe in thinking differently. The way we challenge the status quo is by making our products beautifully designed, simple to use and user-friendly. Steve Jobs was a rebel with a cause. The way in which they differentiate allows them to cultivate a different relationship with their clients than say, Dell or Microsoft. Differentiation begins with an idea that it is possible to do things in a fundamentally original way. It’s a commitment to innovation. There’s differentiation through subtraction, like Ikea, who created the concept of flatpack furniture. Or through polarisation, like Marmite: you either love it or you hate it. Then there’s differentiation through transformation, like Dyson, who basically reinvented vacuum cleaning (and now fans). When sellers and landlords look at the choice of agents available to them, more often than not, all they see is a blur of sameness. I’m not suggesting you offer your clients a whole set of benefits they don’t care about, or need. Look at the agents who offer 24-hour contact numbers, or 3d floor plans, or an iPad monthly giveaway. For a tiny minority of clients, perhaps these are deal-breakers, but the vast majority won’t care about them. 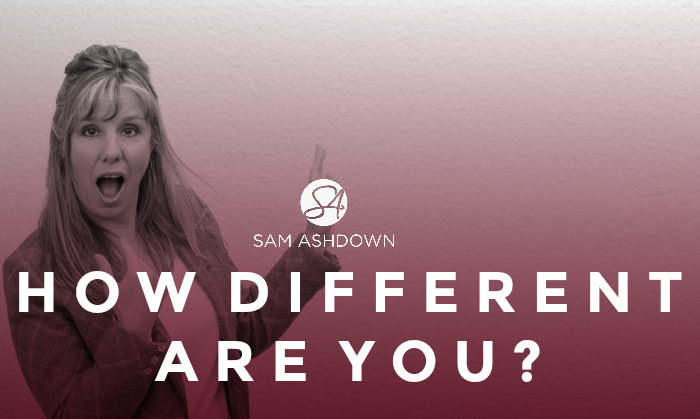 We need to create deep and sustainable grooves of difference between us, but it’s vital that these differentiators are meaningful to our clients. It’s easy to assume that the way to be better is to do more than our competitors, but the competitive treadmill just isn’t sustainable. Differentiation is not a tactic. It’s a way of thinking. It’s a commitment. It’s a mindset.What’s yours? We believe we are in the business of helping people move onto the next chapter of their lives. I watched a couple of Simon Sinek TED talks a few weeks ago. ….what a speaker!! Thanks for the reminder.